Bring Me The Horizon have come a long way from their beginnings as a metalcore band. Since 2013’s Sempiternal the group have been moving away from the loud and brash metal sound that put them on the map, instead producing more alternative/pop rock potentially appealing to a larger audience. 2015’s That’s the Spirit was a stripped back alternative rock album that garnered huge acclaim from critics and saw the release of several great singles and had the band headlining festivals across the world. Come 2019, and the band are seeking to further progress their sound with the new album amo. From the first track alone it is clear that BMTH are chasing a very different, more experimental sound on this album. There is however, much for old fans to still enjoy here, especially the singles released, including: ‘MANTRA’, ‘wonderful life’ and ‘medicine’. ‘MANTRA’ is a song that could have been ripped straight from That’s the Spirit, with a bouncy alternative hook that sticks in the brain long after you’ve listened to it. Single ‘medicine’ is another poppy track that sees Oli Sykes lyrics about a doomed relationship presented appealingly again over a familiar alt-rock sound. But it is when Sykes and co. stray from the alternative rock formula that amo is at its best. Latest single ‘nihilist blues’ is the standout song from the album; an electronic-enthused europop anthem that experiments with vocals from guest Grimes, a prominent art-pop artist. 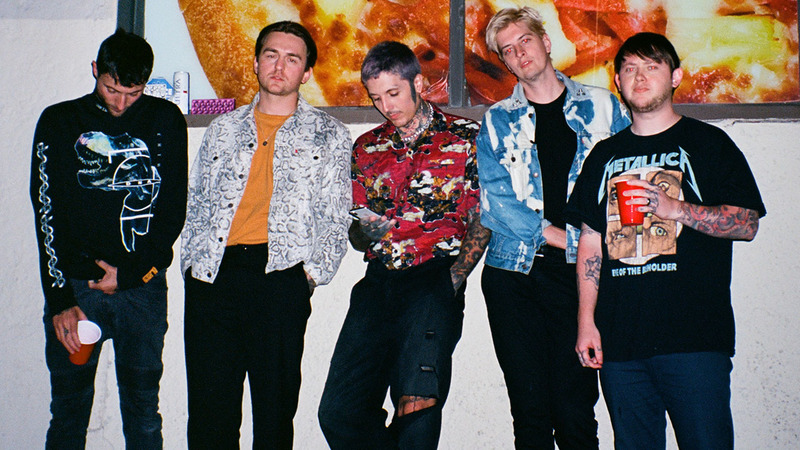 The track is a strong diversion from the band’s usual style, with robotic lyrics over synth waves that offers a very unique take on electronica, and it is proof that BMTH can experiment successfully with new genres. Other notable tracks come in the latter half of the album. These include ‘heavy metal’, a tongue in cheek, slightly heavier track, that sees Sykes riffing on the bands noticeable change in sound over the last few years, and the closer ‘i dont know what to say’, a soaring album closer with strings, solo guitar and electronic elements that combine to close the album with style and substance, with Sykes delivering emotional lyrics about a friend he recently lost to cancer. The experimentation on the album is ultimately the best material on display, with the more straightforward singles such as ‘MANTRA’ being enjoyable but feeling out of place, almost as if the group cannot fully commit to this new and different sound. It is where the band does deviate from the norm that they are most impressive, with the album feeling like a sonic evolution from their previous works, with deep and poignant lyrical content from Sykes. Most importantly it’s great to see the band making the music they want instead of following a blueprint and becoming stale, and this could be what allows them to continue to thrive in the future. amo is available now via Sony Music Entertainment UK.